This thick and delicious Pineapple Oatmeal Breakfast Smoothie will stick with you all morning and keep you full and satisfied until lunch. 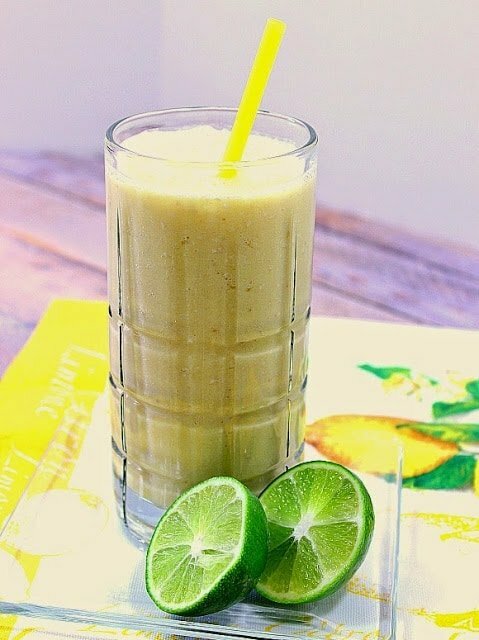 Since you’re adding all the ingredients of this smoothie into a blender, the fact that the core of the pineapple is a bit tough and fibrous won’t be an issue and you’ll gain all it’s wonderful health benefits. Win. Win. This smoothie is super hydrating, has lots of protein, filling fiber, and a light sweetness that I just know you’re going to love. I hope you’ll try it and let me know what you think. 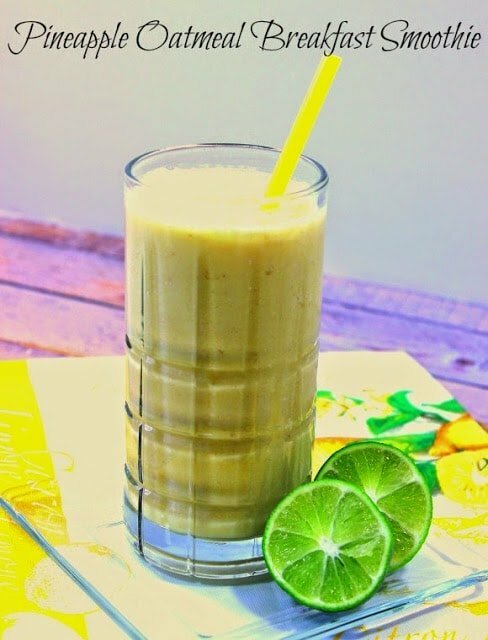 -Place all the ingredients (salt and ice is optional) into a blender and blend until smooth and creamy. If two large smoothies are too much for you to drink at one time, and you don’t have anyone to share them with, don’t be afraid to put one into a large lidded jar (a mason jar works wonderful well) and place the smoothie in the fridge for the next morning. You’ll be happy to have the extra one on hand when you’re ready to run out the door. 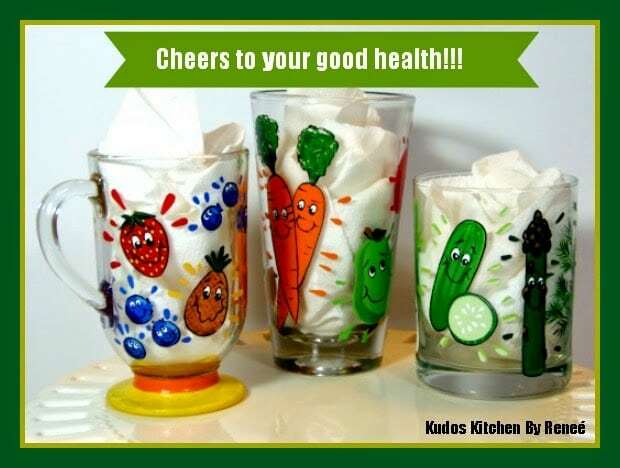 Featured along with this Pineapple Oatmeal Breakfast Smoothie are these hand painted juicing glasses that are fun and whimsical. If there is ever anything I can paint for you, please don’t hesitate to contact me or visit my new Esty shop where custom orders are always welcome.